Sensitive FBI Agent Resigns Because People Write Mean Things… Bye Snowflake! 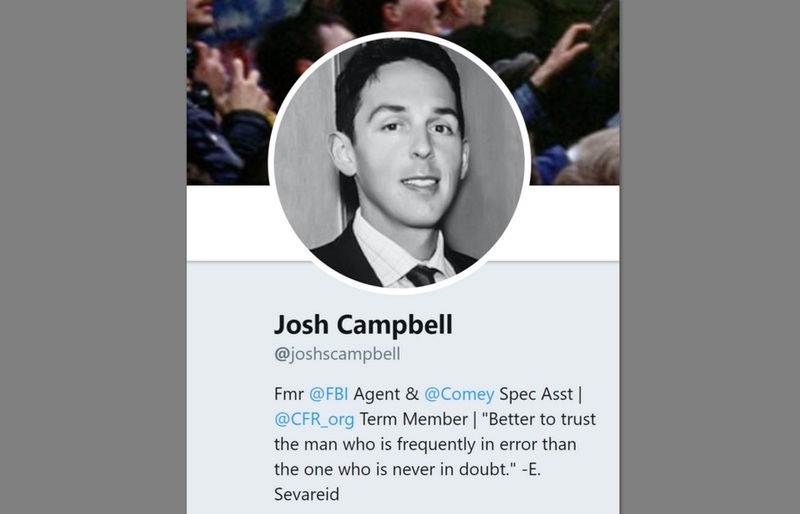 Josh Campbell is a former supervisory special agent with the F.B.I. who served as a counterterrorism investigator and special assistant to the bureau’s director. Josh Campbell quit the FBI this week. Then he wrote an op-ed for The New York Times where he complained about people exposing the corruption and criminal acts by agency leaders. Maybe the FBI wasn’t a good fit for Josh? The New York Times thinks we should all stop picking on the FBI and let them continue their coup. The liberal media is especially upset with President Trump for questioning the agency and the DOJ over their special counsel witch hunt. Try to read this and not laugh out loud. Read more at TGP. MSNBC Commentator Unhinged: “We Need A Revolution” Against Trump... Twitter Hits Back!